We have just unveiled two new lights: a Part L compliant energy efficient LED Picture Light, and the Luccini – a miniature, discreet and extremely versatile LED up, down and step light. The new LED Picture Light (from £323) combines energy efficiency with excellent colour rendition. It has a minimum profile so as to not distract the eye from the art. Available in a wide range of finishes and sizes, the elegant fitting offers the perfect solution to evenly lighting artwork in both contemporary and traditional interiors. With its warm white light of 2700K and an exceptionally high CRI (Colour Rendition Index) of 95, it is one of the first LED picture lights which genuinely brings colours to life accurately. The LED Picture Light also gives no forward heat and no infra-red or ultra violet rays. The fittings are made to order; expect a 2-3 week delivery time and in sizes ranging from 100mm to 1500mm. Longer bespoke options are also available. The Luccini (from £75) can create stunning effects when applied to columns, fireplaces and staircases, arches and bookcases. 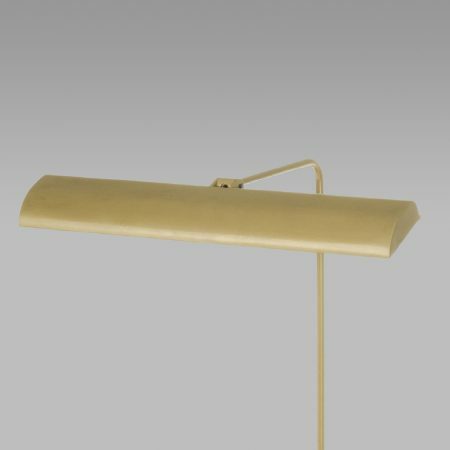 Despite its tiny size, the Luccini (which is the baby brother to John Cullen’s bestselling Lucca), provides an exceptional quality of warm white light (2700K). With a bezel of just 34mm and a depth of 30mm, it is easy to conceal in joinery. Its 1W efficiency and low heat make it ideal to use in places where heat is an issue. Made in stainless steel, the Luccini is an essential addition to your lighting tool box.